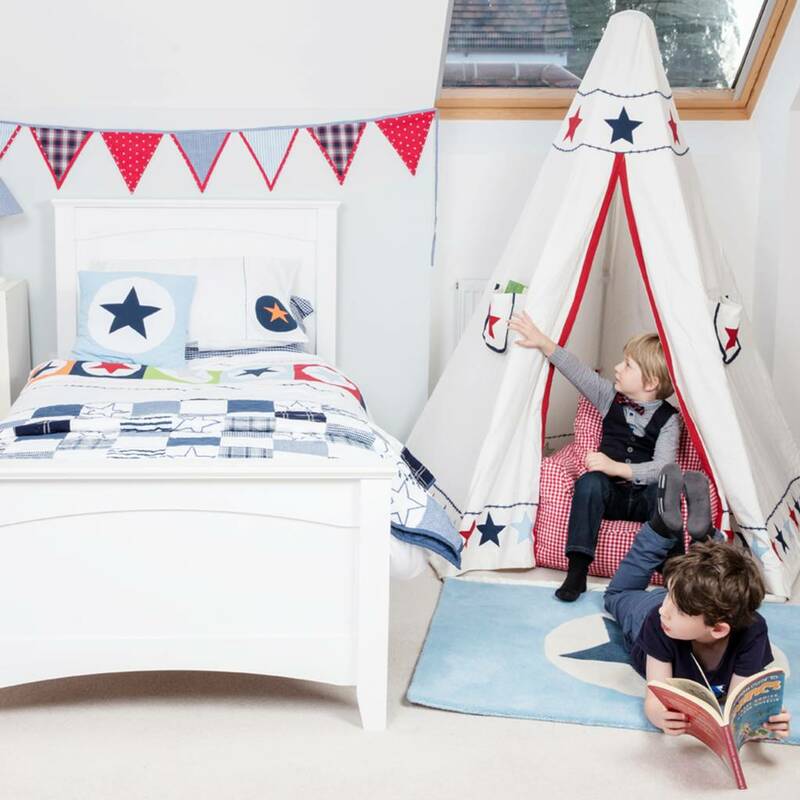 For your little adventurer our Teepee is the perfect setting for imaginative play. 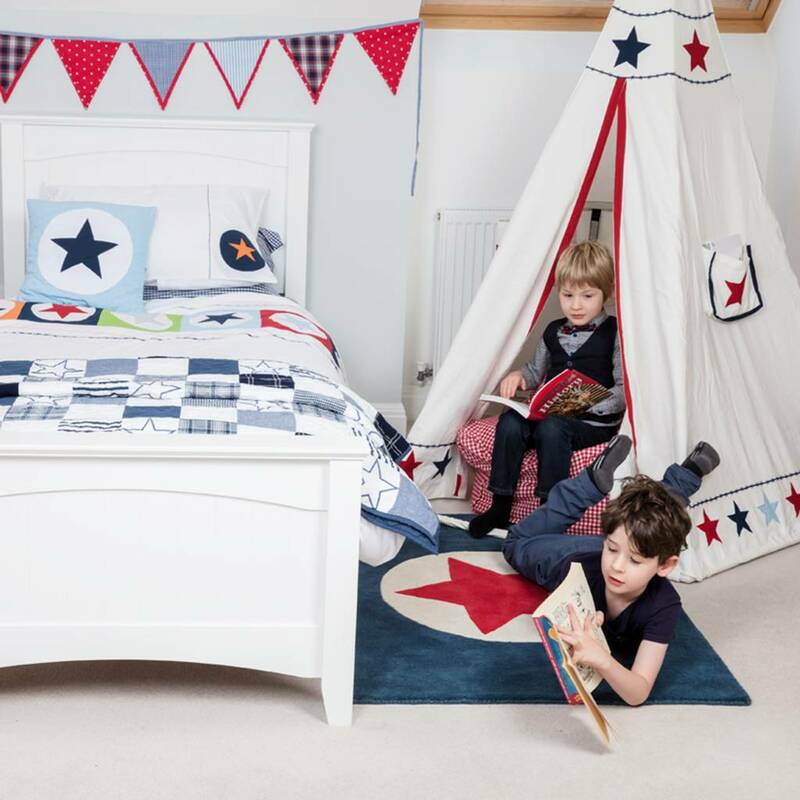 The versatile play space is easy to climb into with plenty of room for them to play or just relax with a favourite book. 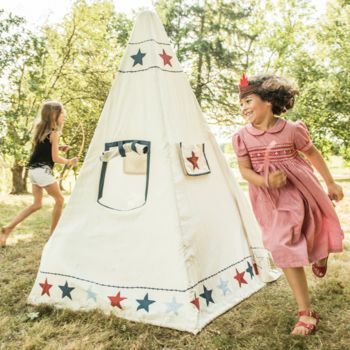 Easy to assemble, each Teepee comes with poles, connectors and a fabric cover which can be all neatly stored away in its own canvas zip up bag.The fabric cover is made from 100% cotton and features appliqued stars, top and bottom, and includes two side pockets and a window on the back with a roll up curtain. 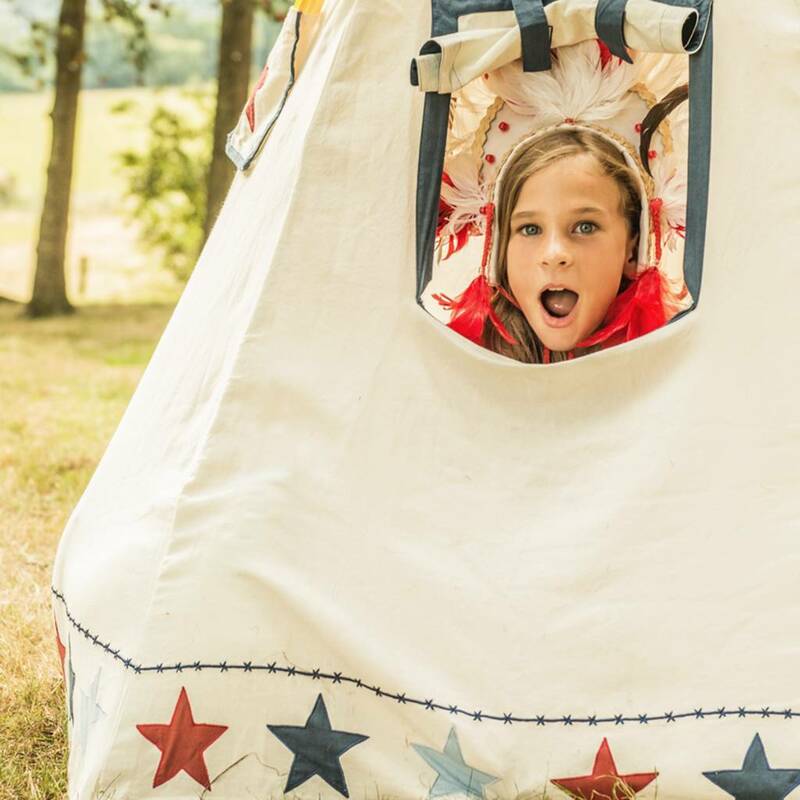 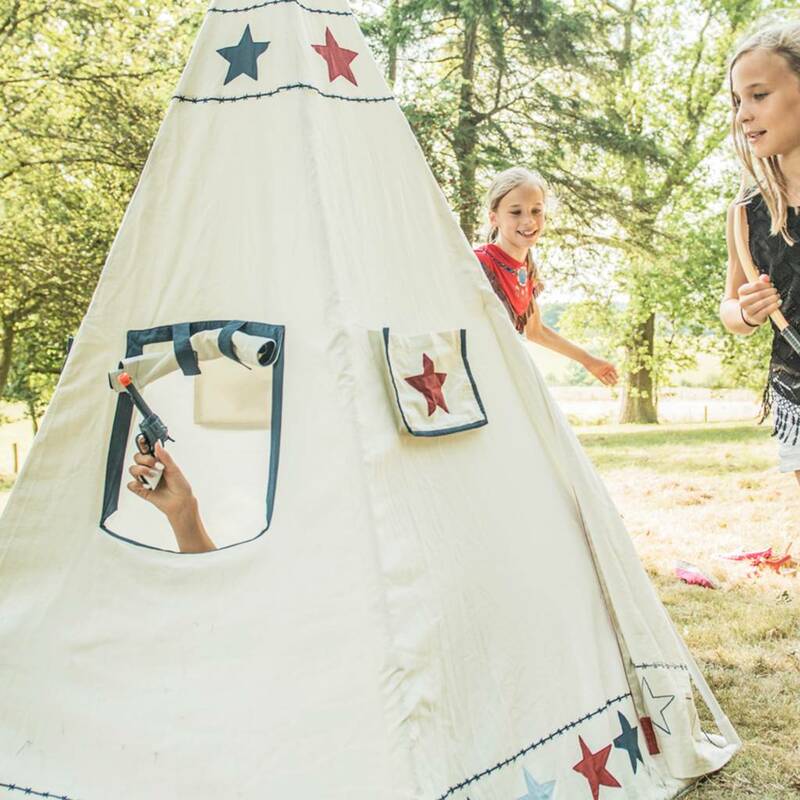 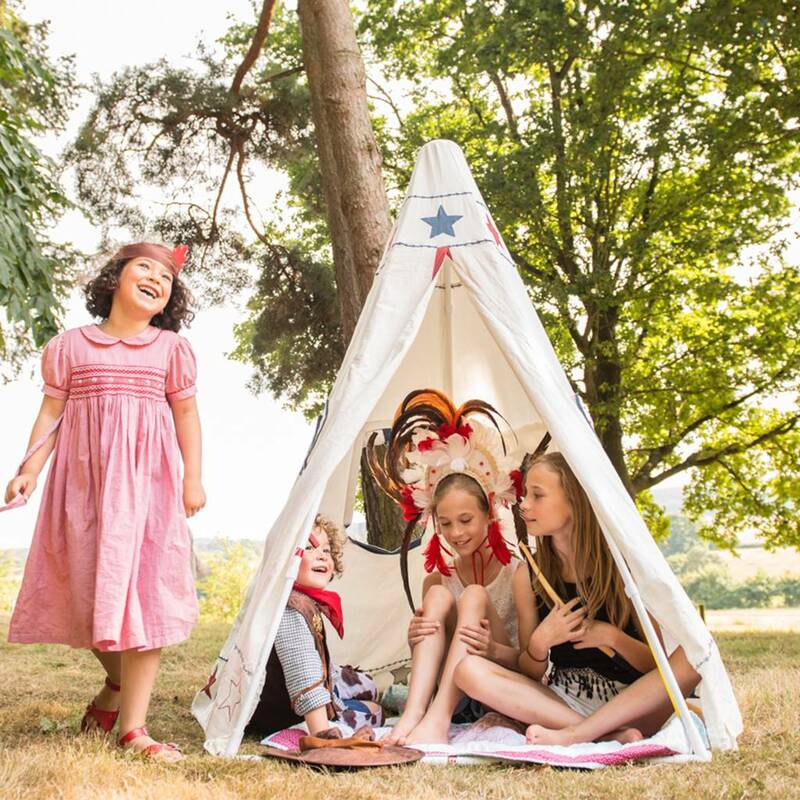 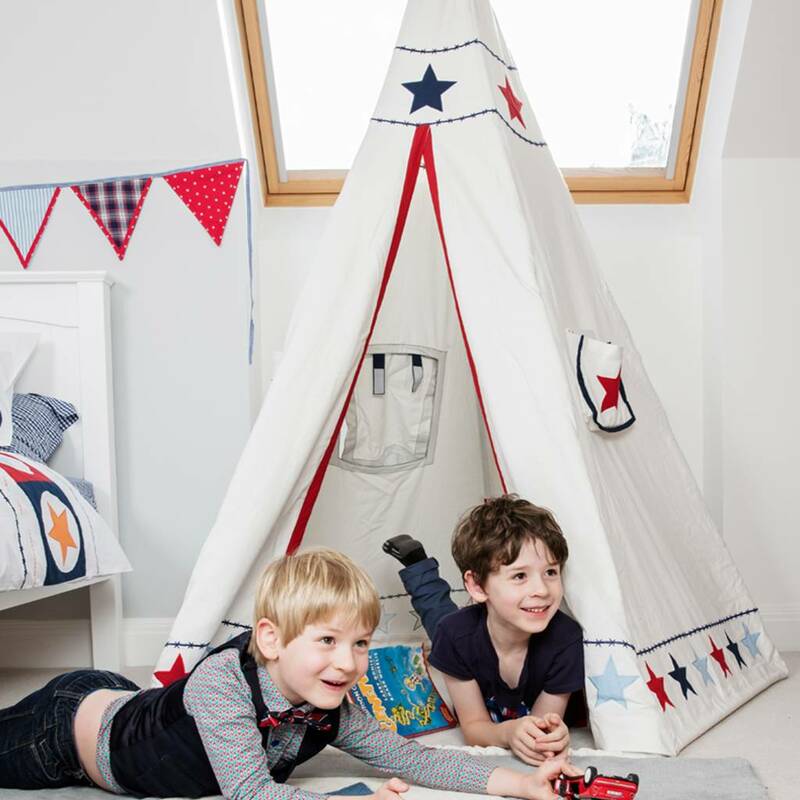 Our Teepee is perfect for your child’s bedroom, a playroom or even to be used out in the garden during the warmer months. 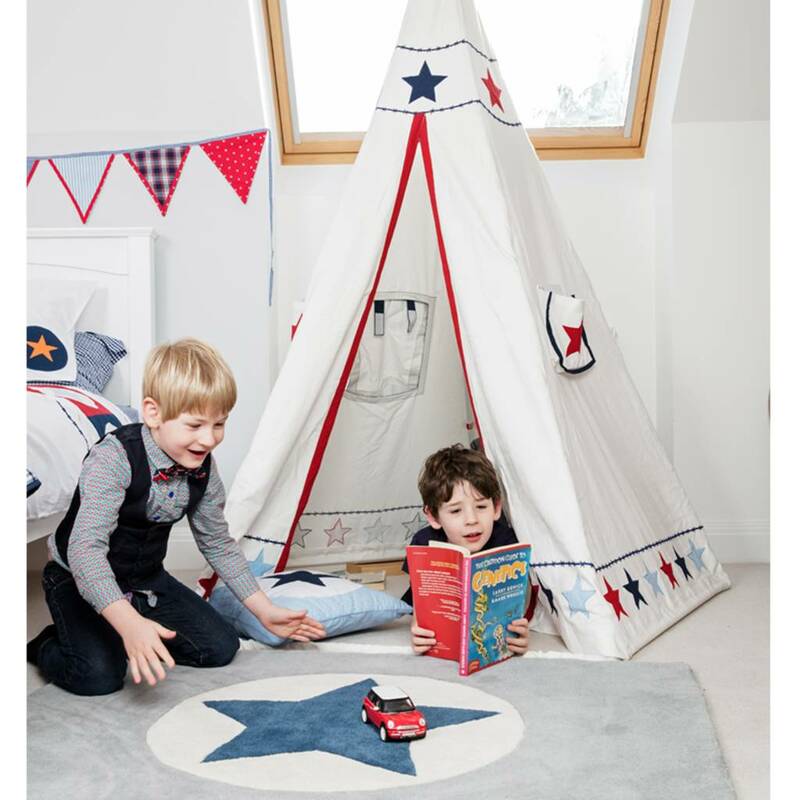 This product is dispatched to you by Babyface.